Bluestone Lane City Hall is our second location in the “City of Brotherly Love”. Housed in the beautiful (and historic) Widener Building at One South Penn Square, the limestone exteriors easily complement Bluestone Lane’s commitment to simple, minimalistic aesthetics. 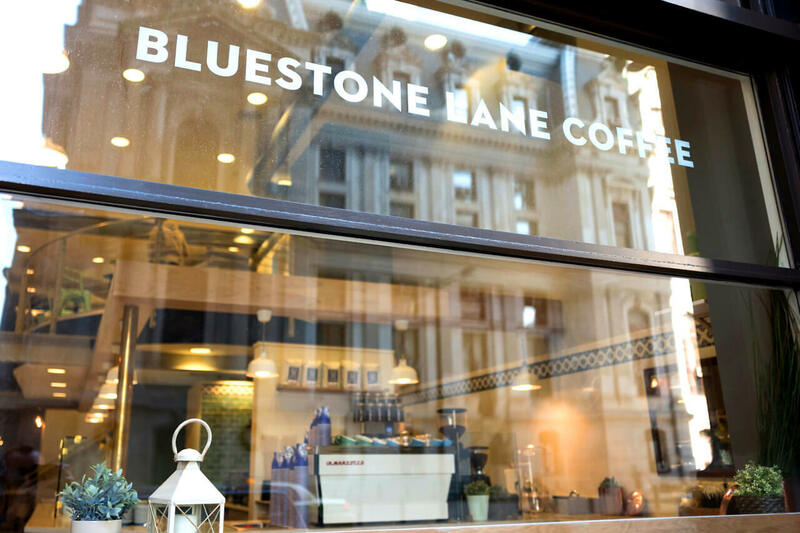 With our signature whitewashed white oak, China Sea tile, and airy second-floor mezzanine, Bluestone Lane City Hall delivers an oasis for locals to grab a flat white and enjoy the heart of Center City. Bluestone Lane City Hall offers a full range of quick bites inspired by the original Rittenhouse Square Café menu, using locally-sourced ingredients. Healthy breakfast and lunch options including our signature Avocado Smash and Rainbow Bowl are complemented by an extensive range of cold-pressed juices and our premium coffee and tea bar. Bluestone Lane City Hall now offers catering through Caviar. Click here to order now!